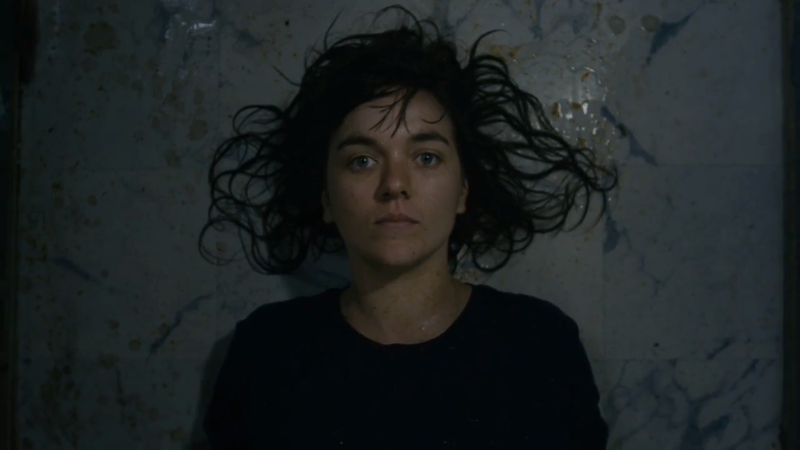 Courtney Barnett has today released a beautiful and poignant video for Kim's Caravan, a darker track from her new album Sometimes I Sit and Think, and Sometimes I Just Sit. In Courtney's words, the track — which is written in part about environmental concerns for the Great Barrier Reef — is "an apocalyptic tale of our world painted black with oil and soot, painted red with blood and greed. The song was born when blessed with time to reflect, feeling the frustration and helplessness of the destruction of my environment and the litter of humans within it. It was partly inspired by watching Black Rain Falls, a documentary about Midnight Oil's concerts out the front of the Exxon building in NYC in 1990". After first listening to the song, Director Bec Kingma wrote that the lyrics represented a bleak reminder that we can never really go back and regain our innocence, she goes further to say "In conceptualizing a film clip for the track I was keen to explore the adult attempt to return to that place of childish innocence. If you have ever returned to a childhood holiday haunt in the offseason, it's likely you've discovered the sad realisation that the place barely resembles your idillic memories. As grown ups we all yearn for a time and place where our biggest concerns were the sand in our bathers and the mosquito's eating us alive." Courtney Barnett will be returning to North America next month for a US tour which includes festival stops at Bonnaroo, Sasquatch, Newport Folk Festival and more. She will also be hitting Austin, TX to tape the iconic Austin City Limits as well as several other Late Night TV appearances this summer. See below for a full itinerary!